We provide turnkey Solutions on Electronic product design from concept definition to development of a fully tested product ready for volume production. As a result of our extensive experience designing electronic hardware and software we are ideally suited to analysing practical problems and devising suitable solutions to those problems. Whether you require a specialised one off device or a new design for a product we can draw upon relevant past experience in order to minimise the costs and timescales involved. Our hardware designers have experience in a wide range of microcontroller based designs as well as discrete logic, and mixed signal/analog circuit design. We have also undertaken a number of custom designs for clients and can employ this expertise if required. We employ the latest Computer Aided Design techniques for schematic capture, circuit simulation and Printed Circuit Board Layout as appropriate. Our strength is the quick customisation of our existing solutions according to our customer’s requirements. CoiNel consistantly designs application specific reference designs that are a great starting point for custom product designs and this can significantly reduce the design cycle time for such products. This is the result of CoiNels deep understanding of hardware design expertise. Having developed several reference designs in the past for internal development and for customers to evaluate,CoiNel also offers, on request, specialized custom reference designs for development and prototyping activities. We gather initial technical and functional requirements, design schematic diagrams and multilayer printed circuit boards, attempt to comply to the environmental safety requirements and RoHS. 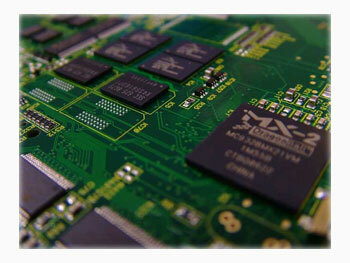 We also assist you for prototype/small to medium size manufacturing through our board manufacturing partners. Check Contract Manufacturing for more details on manufacturing services. You can consider our PCB Design Services for your cutomised design requirements for PCB Design.